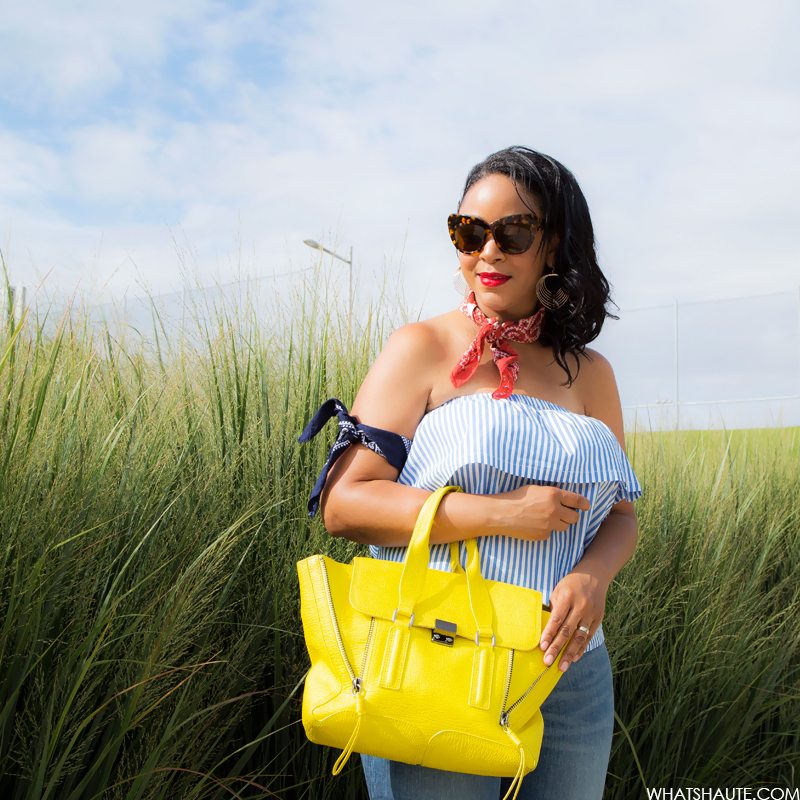 Summer ’16 was the season of bare shoulders. It’s a trend that reappears every few years so if you have a few pieces you love, keep them! They’ll definitely be back in style again. 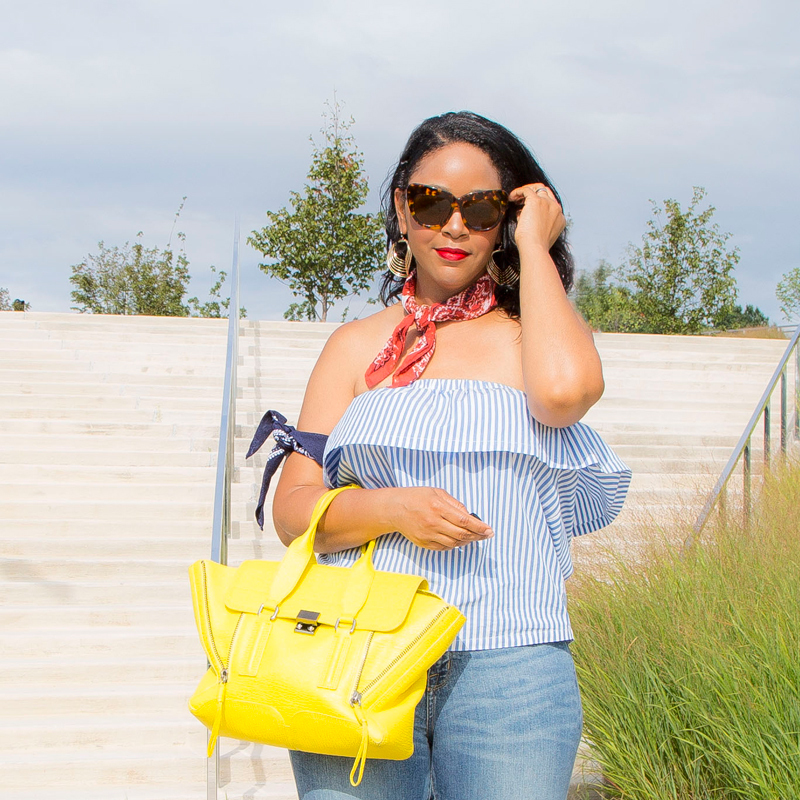 I grabbed a couple of off-shoulder or ‘cold-shoulder’ items this year, and one of my faves is this strapless flounced top that I plan on wearing well into the Fall, with a blazer and silk scarf. It was only $12.99 (on sale now for $6.99 so go get it!) and well worth the investment! 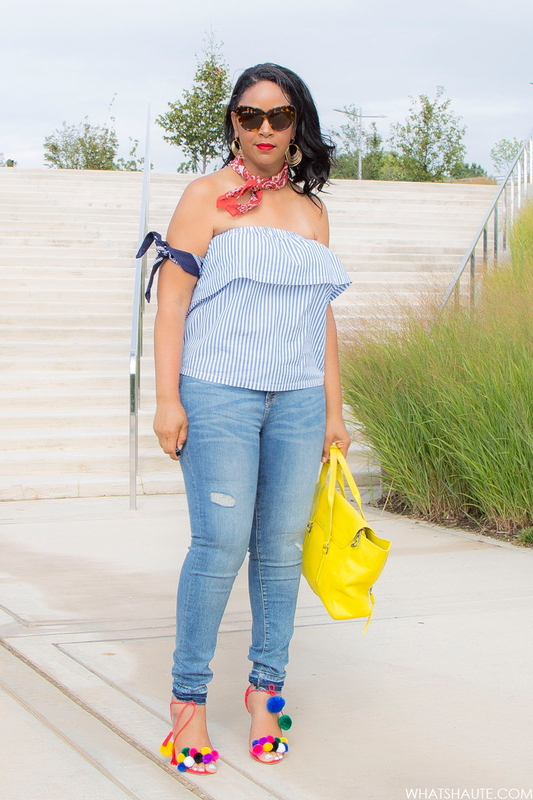 I recently wore it as a casual look, pairing it with a pair of skinny jeans and my DIY pom pom sandals, a statement bag and bandanas. 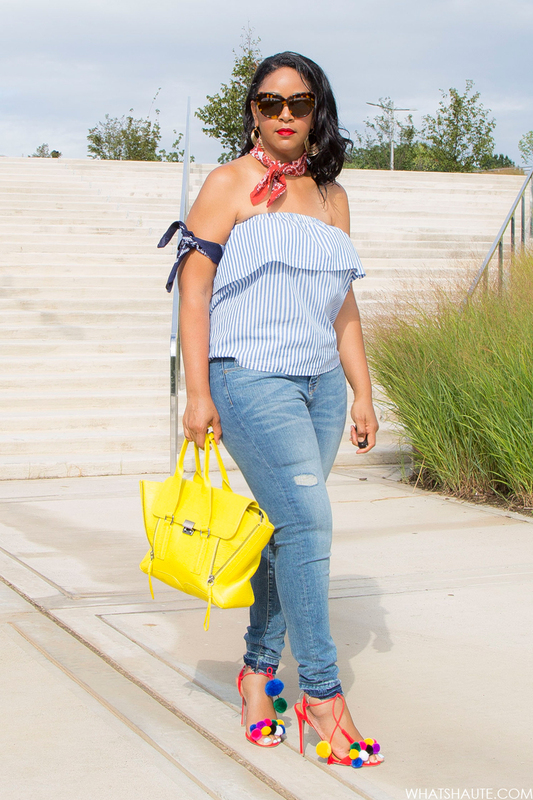 But this striped top isn’t just haute for summer – it’s a great transitional piece from season to season. 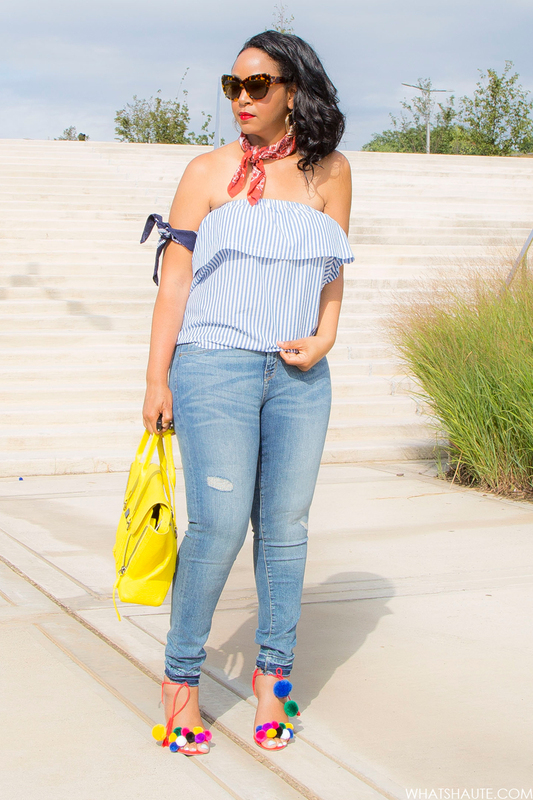 It can easily be transitioned from a casual summer top, to a layering piece for Fall. Just add the blazer and scarf I previously mentioned, plus a pair of wide-leg trousers and a pair of ankle boots. Very Parisian-chic! 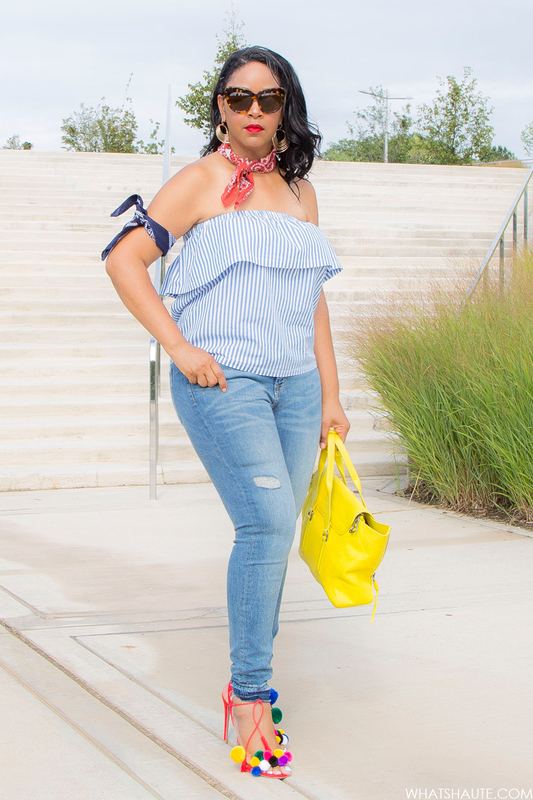 –Pom Pom Sandals / Or follow these directions to do it yourself!